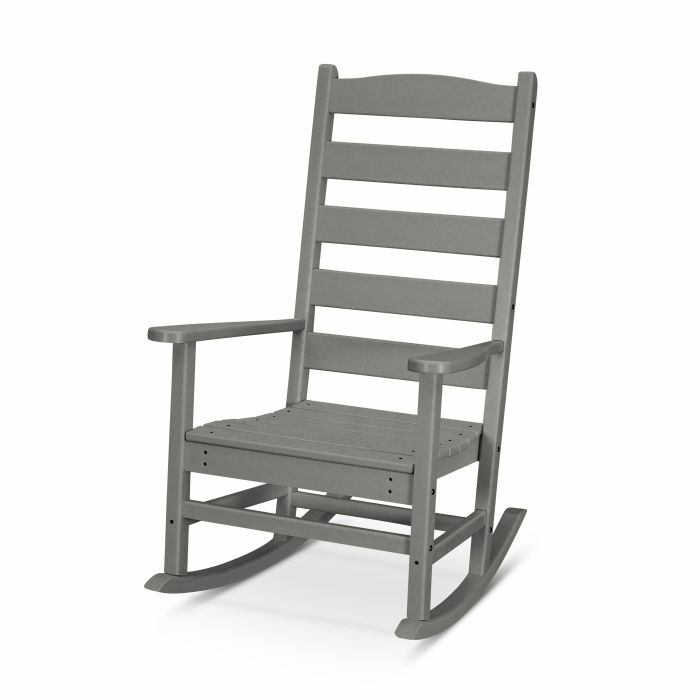 Create the perfect spot to relax with an ice cold lemonade with the Shaker Porch Rocking Chair. Create the perfect spot to relax with an ice cold lemonade with the Shaker Porch Rocking Chair. This traditional all-weather rocker pairs well with any of our side tables so you can coordinate the best look for your front porch or outdoor space.